The Voice of Our Customers!!! "We recently received delivery on our 32 inch turntable and we could not be more pleased. The craftmanship was excellect, the turntable works very smoothly and the wood is finished beautifully. Overall, an excellent product that exceeded our expectations. Thank you." "Caleb, received the lazy Susan on time and my wife loved it. Thanks again for getting it out on such short notice." "I just wanted to tell you that I received my order today and I love it! The piece is absolutely beautiful! Thank you so much. God Bless!" 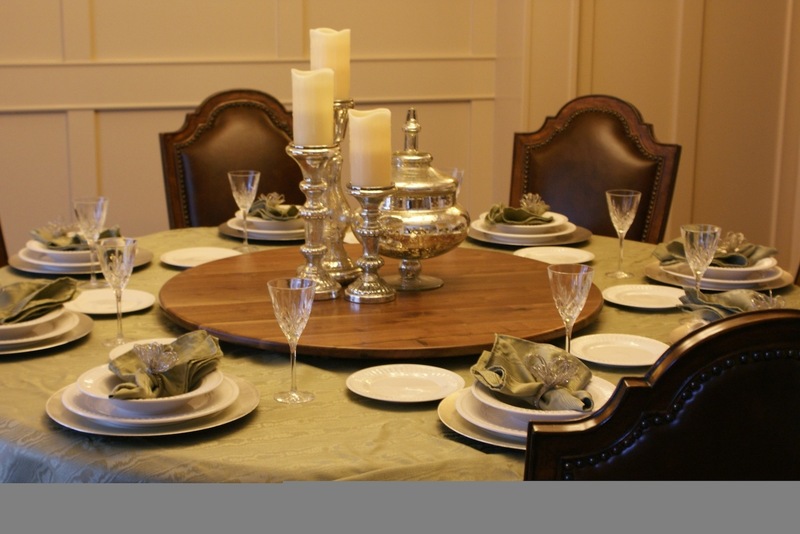 "I recently ordered a Natural Edged Lazy Susan as a holiday gift to our family and everyone is delighted to have it as the centerpiece of our dining table. Not only is it beautiful but its turn-style versatility will make meals a lot easier as people reach for the next hors d'oeuvre or that last piece of pizza. It also looked gorgeous with a bowl of holiday greens and candles carefully displayed on top of it. I will definitely keep you in mind for a special gift for others. Thank you for sending it in time to reach me for the holidays." "Caleb - We have received our Mesquite Wood Lazy Susan. I thought you would appreciate knowing how beautiful our family thinks it is. It's not only functional but makes a beautiful display." "...the doorbell rang and it was my lazy susan. It is out of the box and on my kitchen table looking gorgeous. I'm sure we will enjoy it for years to come." "...I received my lazy susan and LOVE IT! Very unique. It was supposed to be a gift but I’ve decided to keep it for myself. Thanks so much!" "Caleb, I got my lazy susan today and i ABSOLUTELY LOOOOOOOOVE it!!!!!!!!!!!!! I am so thrilled! Thank you so much. You were right- it is very sturdy. THANKS!"